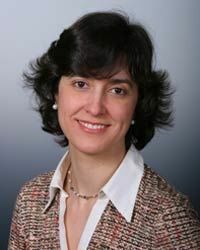 Alícia Adserà is a permanent Research Scholar at the Woodrow Wilson School (Princeton University). She is and a faculty affiliate at the Office of Population Research, the Bendheim-Thoman Center for Research on Child Wellbeing, and the Niehaus Center for Globalization and Governance at Princeton University and an IZA Research fellow. Before arriving to Princeton she was an Associate Professor at the Department of Economics (University of Illinois Chicago) and a Research Affiliate at the Population Research Center of the University of Chicago. Some of her recent work focuses on how differences in local labor market institutions and economic conditions are related to fertility and household formation decisions in the OECD (and Latin America). In addition she is interested in an array of migration topics (i.e. immigrant fertility; the relevance of language, political conditions and welfare provisions among the determinants of migration flows; the wellbeing of child migrants; differential labor market performance of migrants across European countries). She holds a Ph.D. in Economics from Boston University. Alícia Adserà joined CReAM as an external fellow in July 2012.